We report a method using in situ etching to decouple the axial from the radial nanowire growth pathway, independent of other growth parameters. Thereby a wide range of growth parameters can be explored to improve the nanowire properties without concern of tapering or excess structural defects formed during radial growth. 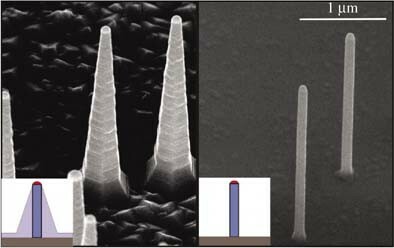 We demonstrate the method using etching by HCl during InP nanowire growth. 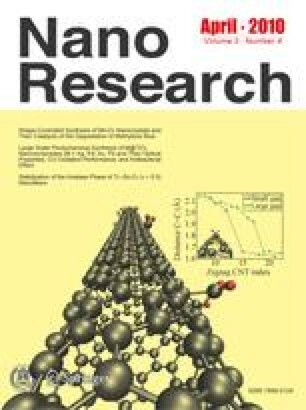 The improved crystal quality of etched nanowires is indicated by strongly enhanced photoluminescence as compared to reference nanowires obtained without etching.